Everyone knows that feeling. You’ve just started a new job, and the new offices are a damn labyrinth. 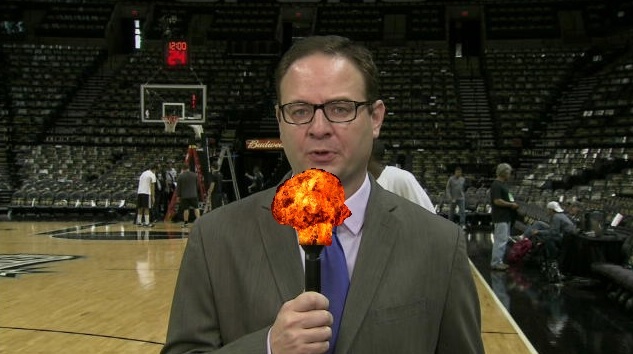 Just like Jimmy Butler, Paul George and Chris Paul, the NBA’s breaking news MVP, Adrian Wojnarowski, also switched teams this offseason. Woj left Yahoo! Sports and joined ESPN. Wojnarowksi, who is still new in the offices, needs to learn where to go. He accidentially walked into a live show on ESPN. What a Woj-Bomb, literally! Next story Latest Free Agent Buzz – Where Will Players End Up?